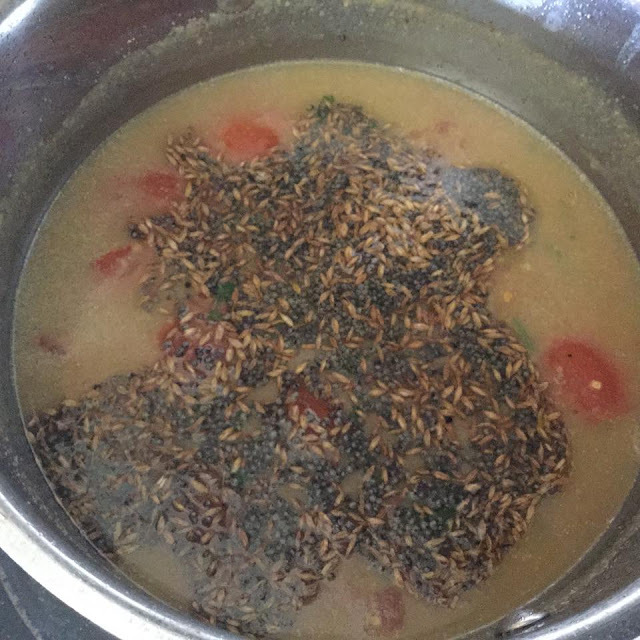 For those who do not know what Rasam is, it’s made with lentils and spices. It is thinner than soup and is had with rice and any curry. It is tangy to taste. For us it is our “Chicken Soup for the soul”. We have it when we are sick too, because its nutritious, rich in protein and easy to digest. It tastes best when hot and is very easy to make. I personally believe that our mothers can make the best rasam. 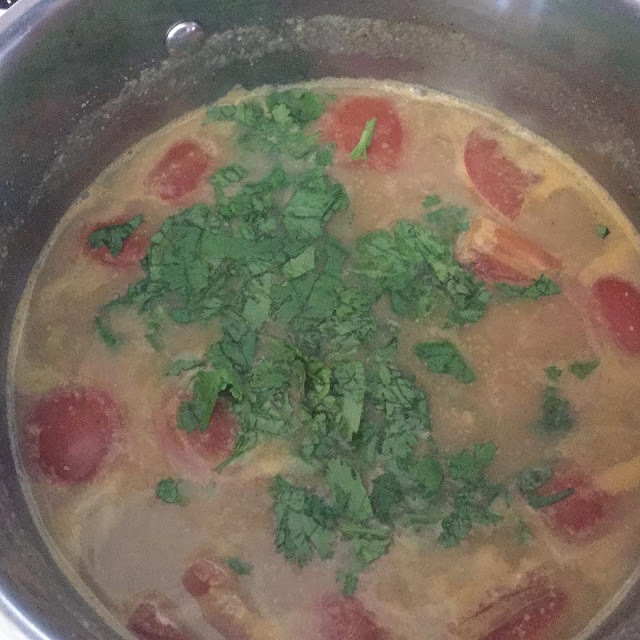 Our entire home would be so aromatic whenever my mom was making rasam. My MIL makes very good rasam too. There are many variations to make it. 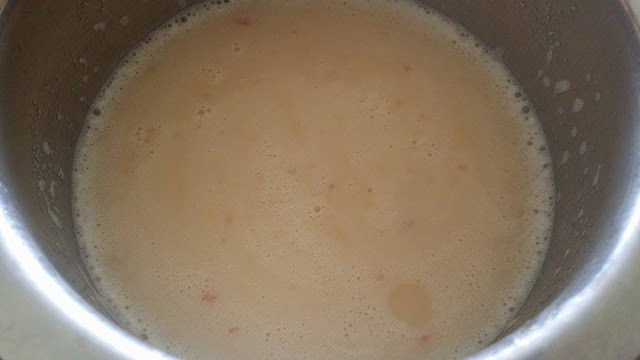 Today I made one called Paruppu Rasam. 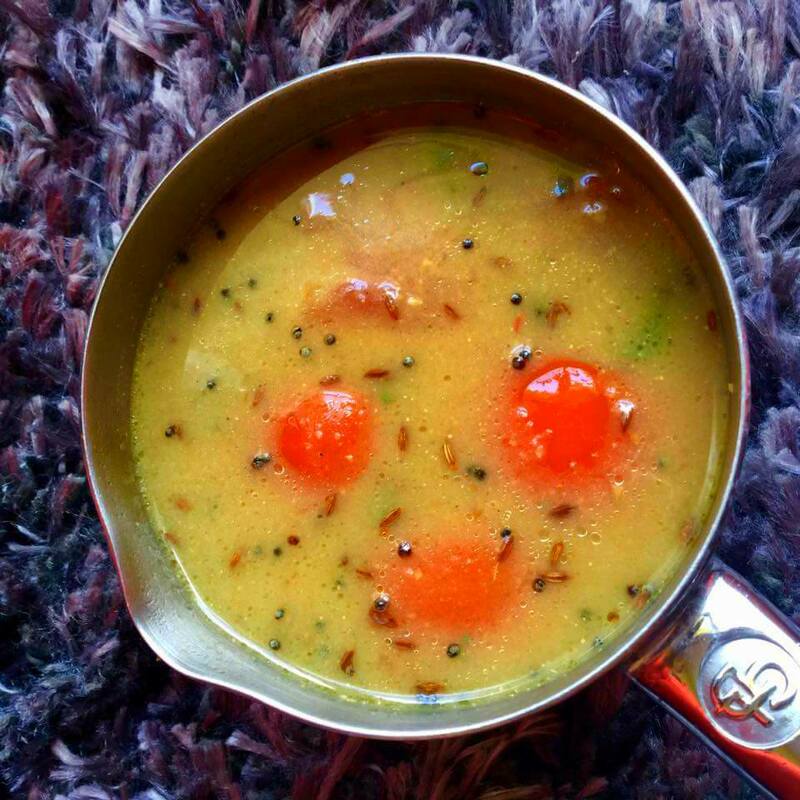 This rasam does not require you to boil the lentils prior. The whole thing about making rasam is about timing. You need to know when to switch off the gas. Over cooking the rasam takes away the taste. So you need to be alert and careful. Soak chana dal and tur dal for 40 minutes. Drain the water. Grind the dal, red chillies, ginger and salt. You can add curry leaves as well. Coarsely grind this. Dilute this paste with 1 cup water. 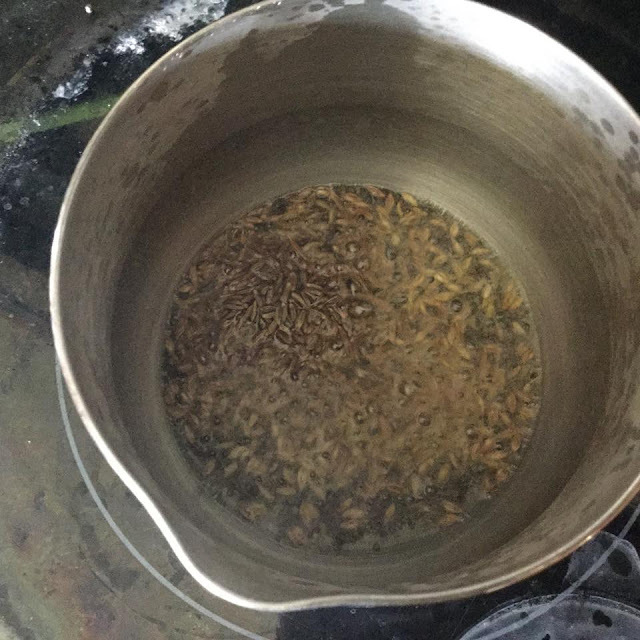 Soak the tamarind in hot water for 15 minutes. Press the tamarind to remove its juice and throw away the pulp. Pour this juice into a pan. 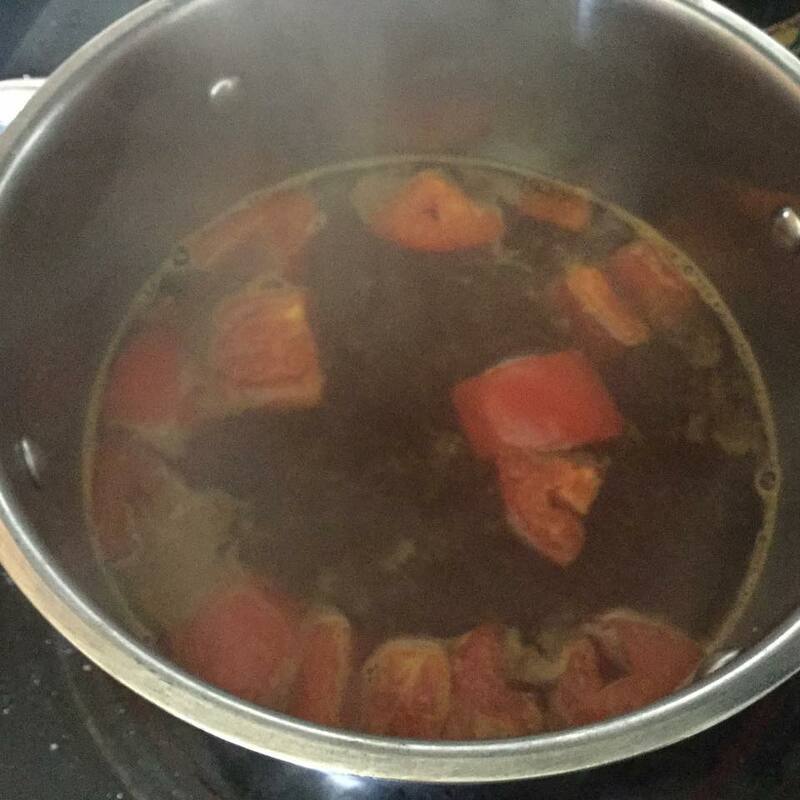 Add 2 cups of water, rasam powder, turmeric powder, dhania jeera powder, hing, tomato and salt. Cook it on medium flame. Bring this to a boil. Add the diluted paste. Mix well. Cook it on medium. Take the pan off the flame as soon as you start to see froth. 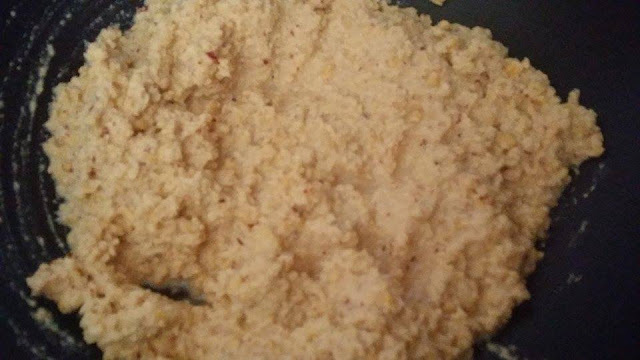 Give tadka of mustard and cumin seeds in ghee. Pour this over the rasam. Mix it well. 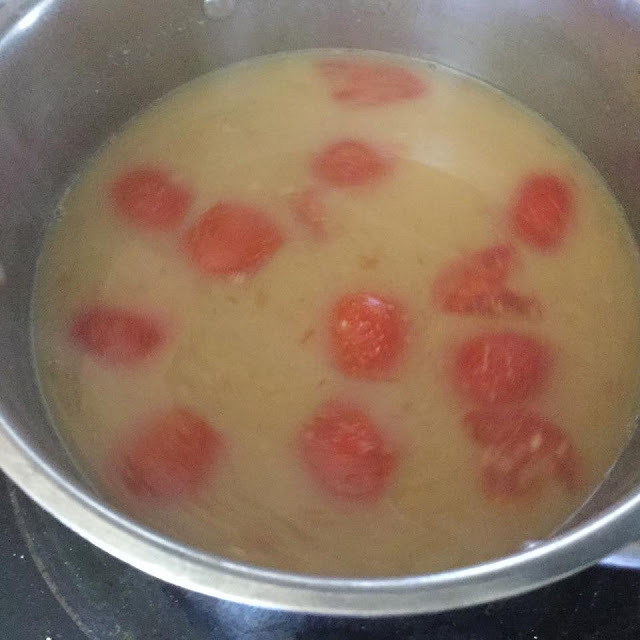 Serve this hot with rice or just drink it as a thin soup. It is mildly spicy and tangy. Keep checking my blog for other varieties of rasam which I will post shortly.